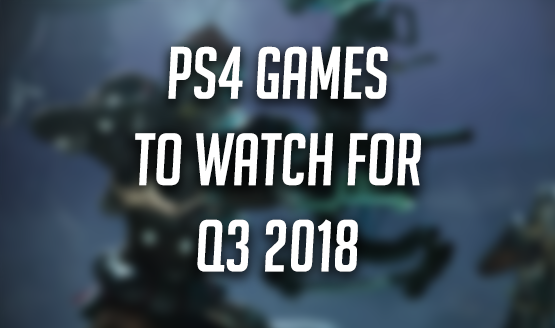 Guerrilla Games’ AAA masterpiece, Horizon Zero Dawn, and its protagonist, Aloy, blew the gaming community at large away in early 2017. 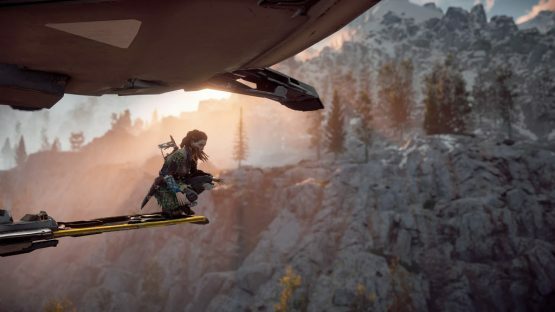 Since then, it has been nominated for a Game of the Year award, and its Frozen Wilds DLC enjoyed both critical and commercial success; but what is it that makes Horizon so special? To begin, we will very briefly address some common arguments for Horizon‘s success. The cultural context of the game is utterly unique; communities that are seemingly primal in nature live in a dystopian world shared with vicious machines, which resemble dinosaurs. The game uses this context to successfully combine bow and spear combat with a fantastic post-apocalyptic setting. It juxtaposes two entirely different worlds with each other in a way that, to someone who has not played it, would seem far-fetched; however, it executes this juxtaposition brilliantly. Horizon’s combat is complex and skill-based, yet simultaneously enjoyable. The combat mechanics are smooth and reliable, ensuring that combat is always fair. The way in which the game’s captivating and emotionally accessible story is told is part of the reason as to what makes it so great, but it is the characterization of Aloy in particular that really makes it special. In the majority of RPGs, the player is given the option to play as a protagonist that they create themselves in some form of customization suite. The player often gets to choose their player’s name, design their appearance, and maybe even commit to a certain combat class. Examples of these kinds of protagonists can be seen in the Elder Scrolls and Fallout series, among many others. However, in some other RPGs, some of these character-building choices are not made available to the player. For example, the player will always play as Geralt of Rivia in The Witcher 3, or as Commander Shepard in the original Mass Effect trilogy. Each of these styles of storytelling carry their own benefits, but, although Horizon Zero Dawn is similar to the latter style in many ways, it does a lot of things differently. 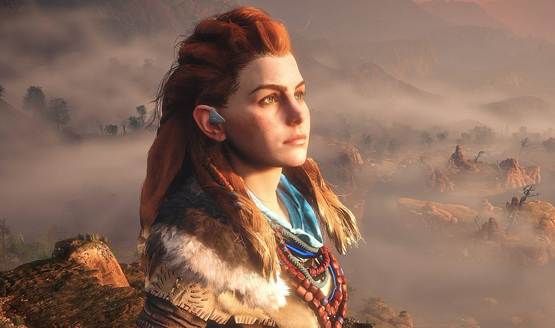 In Horizon, the player plays the entire game as Aloy. Aloy’s appearance is set in stone, as well as her name and gender. For quite some time, the player has access to very few weapons, and has no class options to speak of. Initially, this may make the game seem as if it is lacking in various aspects of what would generally constitute the RPG experience. However, it quickly becomes clear that in relation to Guerrilla Games’ Aloy, that is simply not the case. To illustrate the way in which Aloy is different to other predefined video game protagonists, let’s look at Geralt of Rivia from CD Projekt RED’s The Witcher 3, which has gone down as one of the most iconic games in contemporary culture. When the player plays as Geralt, they can either opt to make their own way down “The Path,” or to make in-game decisions based on Geralt’s identity as a witcher. 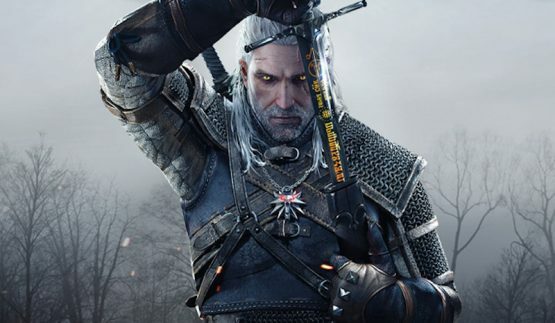 Essentially, the player can either play the game vicariously though Geralt, or play from a more detached position as who they think Geralt himself is. They can make their own choices, or make the choices that Andrzej Sapkowski’s Geralt would likely make. In Horizon Zero Dawn, there is unquestionably a lean towards playing as Aloy. Although is is easy to relate to Aloy’s character, she is so well-established as her own person that she asserts the right to be played as who she is. In a way, the player does not even play as Aloy—they play for her. For example, when Bast throws the rock at young Aloy near the beginning of the game, Aloy picks the rock up and the player is given an option to “aim for his head.” However, how many people actually did this? There is something in Aloy’s design that communicates that she is better than that. The option to to drop the rock is chosen far more frequently, as it aligns with who Herman Hulst intended for Aloy to be. The player can make many more decisions later on in the game that are morally aligned with this one, as Aloy is someone who knows right from wrong, perhaps better than any real person can. The Bast incident may just be one example, but even that scene alone showcases exactly who Aloy is. This serves the argument that, thanks to the strength of Aloy’s character, Horizon‘s storytelling capabilities are incredible. The game manages to blend an RPG narrative with an almost novelistic style of storytelling. Aloy is established as her own person, as opposed to being a character created by the player. The player literally watches her grow up, from a little girl, to an incredibly strong young woman. If this were a novel, or another form of predetermined creative media, the events of said novel would have a very strong correlation with the choices made by the majority of the people who have played the game. Essentially, despite the game offering the player the opportunity to make their own decisions, most people made the same ones. However, for full effect, the game necessitates the video game medium. Horizon runs deeper than just words on their own. The player can control the order in which the story unfolds, from the optional quests Aloy can decide to take on, to whether or not she visits a certain grave. The game’s narrative can only be earned if the player is willing to immerse themselves in learning its mechanics. Aloy’s failures in combat break the fourth wall, paralleling the player’s failures in defeating enemies. There is an attachment to Horizon‘s protagonist that aligns with attachments made to other famous predefined protagonists, such as Link, Geralt, Shepard, Joel—the list goes on. However, it is slightly different. 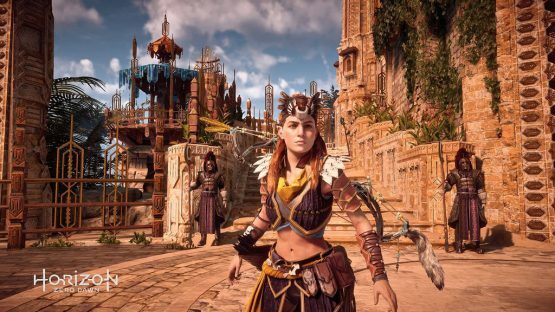 Aloy subtly, yet consistently asserts a strong sense of self, and so, her story is always experienced by playing as Aloy, as opposed to playing as yourself, through Aloy. It is not often that a character from a video game manages to move someone outside of their fictional composition; yet, there is something very real and very human about Aloy. Her goodness of character, despite the losses she has suffered and the injustice she has faced, makes the player believe that there is good in the real world, and, if they let her tell her story, maybe they can learn how to identify it.